Rugby league, NFL and Tennis enthusiast. International and women's rugby league advocate. 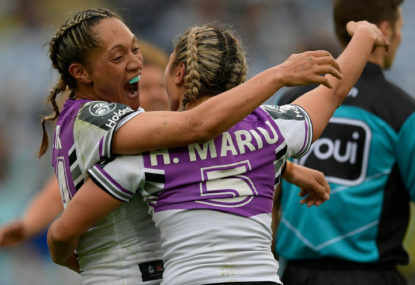 The biggest rivalry in women’s rugby league returns as New Zealand and Australia square off in Auckland off the back of the maiden NRL women’s competition. Join The Roar from 3pm (AEDT) for live coverage of the match. 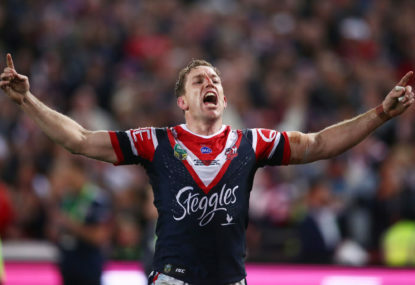 After thirty gruelling weeks of football, the Sydney Roosters are the 2018 NRL premiers. The 2018 season saw many young guns excel in their first taste of first grade football in a changing of the guard of the NRL’s biggest stars. 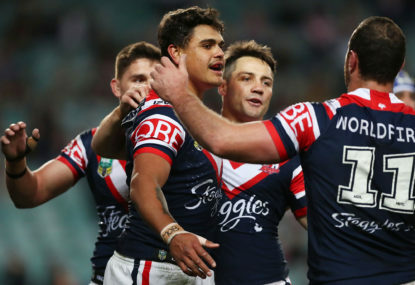 The Sydney Roosters produced a masterclass performance against the Melbourne Storm winning 21-6 to claim their 14th premiership and third of the NRL era. Here are their players ratings from the grand final. And then there were two. 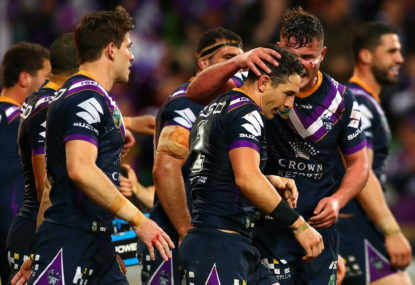 The Melbourne Storm and Sydney Roosters booked their respective places in the NRL Grand Final during a tough preliminary final weekend. 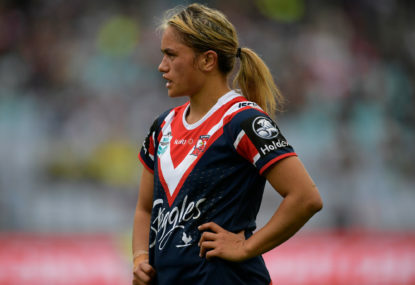 The last spot in the grand final is up for grabs as the Sydney Roosters take on the St George Illawarra Dragons for the chance to play the Brisbane Broncos in their bid to be the inaugural champions of the NRLW. Join The Roar from 5:10pm (AEST) for live coverage of the match. In an entertaining weekend of rugby league, only one point separated both teams in the NRL semi-finals. 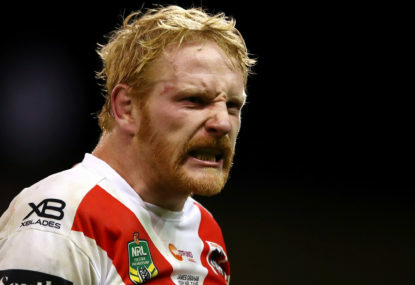 The St George Illawarra Dragons have plenty to prove after an embarrassing opening round performance while the New Zealand Warriors are looking to remain undefeated following a strong start to the season. Join The Roar from 5:10pm (AEST) for live coverage of the match. The Sydney Roosters are looking to bounce back from a first-round loss against Queensland rivals, the Brisbane Broncos, riding high after an impressive season opener. Join The Roar from 5:15pm (AEST) for live coverage of the match. Finals football is finally upon us and only six remain in the race after four enthralling matches. After finishing runner-up at last year’s US Open final, Madison Keys will be looking to book her place when she comes up against 20-year-old Naomi Osaka. Join The Roar from 10:15am (AEST) for live scores and coverage. 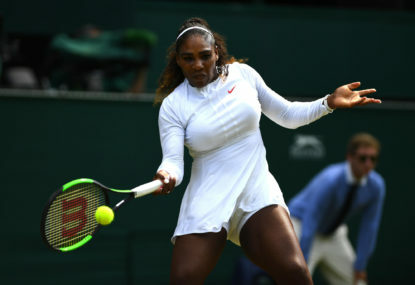 Serena Williams is one step closer to a sixth US Open title as she squares off with Anastasija Sevastova in the semifinals. Join The Roar from 9am (AEST) for live scores and coverage. That’s all she wrote. After 25 rounds of football, the top eight and minor premiership is finally settled as we prepare to enter the finals. 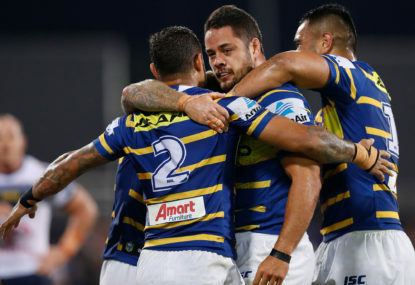 The Parramatta Eels and the Sydney Roosters are at opposite ends of the table but both have plenty to play for in the final game of the regular season. Join The Roar from 7:35pm (AEST) for live coverage of the match. The JJ Giltinan Shield is up for grabs as the Melbourne Storm aim to defend the minor premiership when they host the Penrith Panthers. Join The Roar from 7:55pm (AEST) for live coverage of the match. We are no closer to determining a clear premiership favourite after a string of upsets in Round 24 as the finals draw nearer. Match result: St George Illawarra slumped to their lowest ebb in 68 years of top-flight rugby league at Kogarah, flogged 38-0 by arch-rivals Canterbury and with their season in tatters. 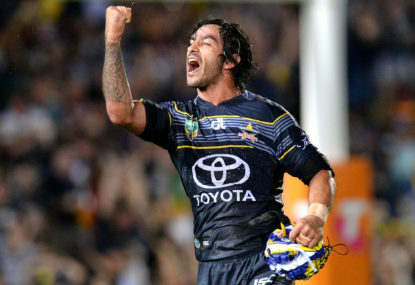 It’s a wooden spoon battle as the Parramatta Eels take on the North Queensland Cowboys in Johnathan Thurston’s last game in Townsville. Join The Roar from 7:55pm (AEST) for live coverage of the match. There was no predicting the outcome of many games in Round 23 with a number of upsets across the weekend. Match result: Andrew Fifita apparently delivered Cronulla’s coaching staff a fiery on-field rebuke as the Sharks kept in touch with the top four with a 28-16 win over North Queensland in Johnathan Thurston’s Sydney farewell. If they can get a solid group around them they can no doubt get back to the heights of 2014. The proposed tri-nations would feature pro/rel so the incentive to improve would be there and Samoa could very easily climb their way up. Mid-season tests: Rotate matches among each group (1. New Zealand, Samoa, Tonga; 2. Cook Islands, Fiji, Papua New Guinea; 3. Niue, Solomon Islands, South Africa, Vanuatu; 4. Hong Kong, Japan, Philippines, Thailand). Annual Mediterranean series between Greece, Italy, Lebanon and Malta in Sydney. Don’t leave the Cook Islands behind. Keep strong competition for the Pacific nations. Restrict international matches to each confederation except for World Cup and ENWC (i.e. Europe, Americas, Asia-Pacific/Middle East-Africa). The good thing about Brothers is that it will be embraced by all of Queensland. From what I have heard, the plan is eight games at Suncorp plus one at each of Cairns, Mackay, Toowoomba and either Rockhampton, Bundaberg, Wagga Wagga or Darwin. 40+ rugby league clubs across NSW, QLD, NT and PNG, and 12,000 juniors. Seven leagues clubs with over 20,000 members and another two with over 10,000. The Brothers really are the anti-Broncos. Rivalries with Titans and Cowboys as well. I’m sure that would be a lot of vitriole toward the Sydney clubs. The brand itself rivals Souths and St George in terms of how well-known it is. At last count I believe there were 31 NRL players from the Confraternity last year, among them names such as Slater, Smith and Cherry-Evans. That’s more juniors than some other NRL clubs are currently producing. Great piece AJ. Correct me if I’m wrong but I believe there was a tinge of blue in the Raiders’ jersey during their glory days. 1. Anyone to win but the Roosters or Storm: The NRL needs a grand final hero that doesn’t have a name like Cronk. It looks like Souths could be a good chance to win, so too the Panthers but we will have to wait and see. 2. Success for the Warriors and Knights: 2018 was a good start for the Warriors and Knights, and they will both hope to improve on their performances. 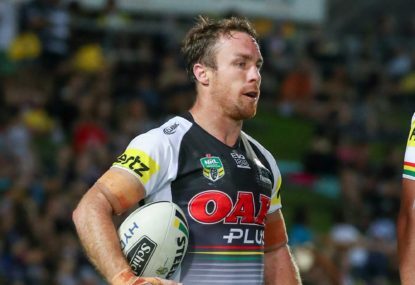 A top four for the Warriors and top eight for the Knights is feasible. 3. NRL announce expansion: Two new teams – Brothers and West Coast Pirates (or Bears). Make the announcement now so they can start developing merchandise, building sponsorship, membership, etc in anticipation for the 2022 season. 4. NRL announce women’s expansion: six rounds (four teams) in 2019, six teams in 2020. Add two of the Raiders, Knights, Cowboys, Sharks or Rabbitohs. The talent is definitely there, you need only watch grassroots women’s rugby league to see just how much talent there is out there. 5. NRL and NZRL lock in Pacific Tri-Series from 2020 onwards: Build off the success of Tonga and push a Pacific Tri-Series with New Zealand and Samoa to be played in Auckland, Hamilton and Wellington. A lot of pie in the sky stuff but I’d hope that at least three of my five can come true. Here’s hoping. I understand that you are trying to deny that international rugby league exists, but your point in saying that “there arent the player numbers in Australia and Northern England to fill all the Countries teams” makes zero sense whatsoever. All I did was take the existing RLIF properties and added U20s World Cup and Nines World Cup. I can’t see how there would be any player shortage given that most of these tournaments exist right now and have no issues in filling teams. The biggest problem for the RLIF has always been that the NRL and RFL have infinitely more resources and thus more pulling power. I think the RLIF need to start doing some bullying and ask for X million dollars a year from the respective domestic governing bodies as an ‘investment’ into standardising international rugby league around the world, at least for the next 5-10 years while they establish their footing. This ‘investment’ would ensure that the RLIF have enough moolah to properly organise international tournaments and develop their own brand that can help develop international rugby league around the world. The RLIF’s properties would include: Rugby League World Cup (Men’s, Women’s, Wheelchair, Defence Forces), Emerging Nations World Championship, Nines World Cup, Four Nations (held in expansion markets not heartlands), U20s World Cup. Then funnel funds back to RLEF, APRLC and a newly formed RLA (Americas) branch to organise continental tournaments. Plug the rest of the schedule with other test series, restrict intercontinental matches to the World Cups. New Zealand deserved to win that one, they were by far the better team. Just the confidence booster the Kiwis needed ahead of the Baskerville Shield. It will be a tough series against England, who despite being without a couple of big names, will put up a legitimate claim for the world No.2 spot. I’m looking forward to seeing how they come together versus France on Wednesday night. This loss was long overdue for Meninga. Australia’s squad for this tour of New Zealand really didn’t make any sense. No Crichton, Papalii or RCG in the forwards. Probably three of the best throughout the 2018 season yet McLean and Woods were selected. Same goes for no Addo-Carr in the backline, easily one of the top three wingers for 2018. Australia will have it tough against a big Tongan forward pack next week. Hard to see them competing in the middle which could spell back-to-back losses. Manly and Cronulla have a combined 50,000 members do they, they’re hardly even close to 30,000 combined. In what world does Battle of the Beaches get below 10,000 at Brookvale. A rainy winter Friday 6pm possibly, but I’d suggest the SCG (or a refurbished SFS) wouldn’t get much better. I really don’t think people are going to turn up to the SCG to watch Manly vs Cronulla, there is no need to be push Sydney teams toward the big stadiums for derbies. You’re more likely to get a 20,000 crowd for Sharks vs Dragons at Shark Park than you are at the SCG or WSS. I do like the premise of each team taking two games to regional/interstate locations and believe that the NRL should encourage and incentivise it, maybe they should make it part of the next TV rights deal that each team has to take at least one home game on the road. You’re not wrong there Justin, it wasn’t the most entertaining game. Lots of drop ball throughout the game, it felt like that first half lasted about 55 minutes, so many stoppages. Regardless it is a good result for rugby league. London have come a long way in the last few years in terms of junior development, I’m looking forward to seeing how they go next year. But who would want to read about London beating Toronto for a place in the Super League, France vs Serbia in Belgrade or Turkey going on a dream-run at the Emerging Nations World Championship? Why read about the result of the PM’s XIII vs PNG or discuss Daly Cherry-Evans’ MOTM performance when you can talk about fans invading the field. Rugby league will always manage to find a headline when the focus should be where the action really is. 2018 was a brilliant year for so many reasons. 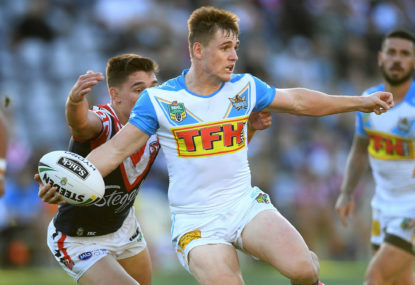 Not only did we see the closest season in years but we were introduced to a number of young stars including Kalyn Ponga, Victor Radley, Jamayne Isaako and Lachlan Lewis to name a few. The future is in safe hands and I must say that the 2018 retiring class was outstanding – Luke Lewis, Johnathan Thurston, Ryan Hoffman, Billy Slater, Simon Mannering, Jason Nightingale, Jason Clark. So much class. The greatest part of 2018 however has been the rise of women’s rugby league. The Women’s State of Origin was a great experience to be apart of. The on-field product was outstanding and it was great to see so many young girls representing their junior clubs in the 7,000+ crowd. The NRLW exhibited just how far the game has come. Four weeks of tough football, every game was extremely close. I must also comment on the way the girls act off the field. There has not been one negative story. They are extremely well-spoken and willing to chat, very approachable whether after a game or attending a grassroots rugby league game and professional. 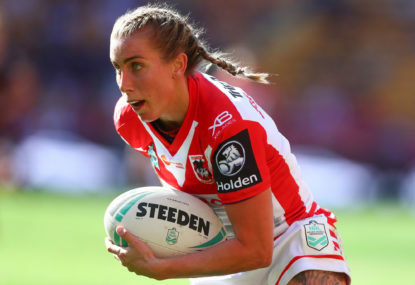 The NRL women’s players are wonderful role models for girls and boys alike, it is having a knock-on effect and will be evidenced by positive growth in junior participation over the coming years. Not only that but also some of the other events around the game. The PDRL World Club Challenge was a nice touch. Junior participation numbers are up. The NSW Cup Grand Final was outstanding. Media coverage was mostly positive. And there is plenty more to come – this weekend’s Koori Knockout has been a stand-out. The Emerging Nations World Championship kicked off earlier today and will continue until the end of October. Australia play New Zealand and Tonga. New Zealand tour Europe versus England/France. Rugby League World Cup qualifiers take place. France play Serbia in Belgrade. England A tour PNG. And either Toronto or London will enter the Super League in 2019, decided by next week’s MPG in Canada. Excited for the rest of 2018 and next year. G’day kk, absolutely great day to kick back after a brilliant day of footy. The season isn’t over just yet – Koori Knockout wraps up today, Emerging Nations World Championship all month in Sydney, Super League playoffs to come and internationals. Can’t wait to see what the off-season holds though. The NRL is probably in the best state it has been in for a long time. I don’t think there is a problem with the referees although scaling back the Bunker through a captain’s challenge could be worth looking at or at least giving the Bunker a time restriction to make the call. There is a place for the Nines but not in the pre-season. Ideally, I would like the NRL to be put on hold in June for internationals/Origin, play it across two weekends. Four cities host four teams each in a one-night round-robin (Melbourne, Perth, Adelaide, Wellington), then top two progress to Brisbane finals the following Saturday. Expansion: each team takes two games to regional NSW/QLD/VIC/NZ, Adelaide, Perth, NT. West Coast Pirates + Jagera Jets 2022-23 then two of Adelaide Rams/Central Coast Bears/PNG Hunters/South Pacific Cyclones 2027-29. Play internationals instead of Super League vs NRL. Align NRL and Super League seasons then bring forward World Club Challenge 1-2 weeks after the NRL/SL Grand Finals at a neutral venue e.g. Doha, London, New York, Denver, etc. I don’t see how your crowd proposal boosts attendances. Moving the Sea Eagles to the SFS? Good luck getting any more than 8,000 to that one. Why do some Sydney teams get 12 games in the city (i.e. Bulldogs, Sharks, Wests Tigers) while others get eight (i.e. Roosters)? Far from a perfect model, but make it fair on all teams (hypocritical based on the above I know). Bring games to the regional centres, affiliated states and major NZ cities. Ten Sydney games each, in theory reduced supply should lead to increased demand. 18,000 crowd average should be what the NRL are aiming for. Each team has between 3-4 FTA home games and 3-4 away, at least one must be Thursday/Friday night (NZ excepted) and another must be Sunday afternoon. G’day kk, thanks for reading and commenting throughout the year. Woods was a tough one, he came extremely close to a spot on the bench but I had to give it to Brandon Smith for his super-sub role. Woods filled the gap left by Gallen effectively, had some great runs and was strong in defence around the ruck. 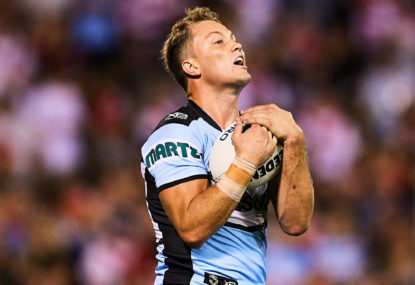 Looking forward to seeing how he goes for Cronulla in 2019. I agree that there may not be enough elite talent to sustain expansion in the short-term however, I would argue that a six-team should be considered in either 2020 or 2021. This season has felt way too short though and it is important that the NRL expand to a 6-week competition next year. Kick-off the competition parallel to the men’s Round 23. I have loved every moment of the 2018 season so far however, the way it is staged to be a double-header with the men’s is flawed. The Warriors got no home games this year, to me it feels like more of a series of exhibition matches. Maybe create a separate draw next year and actually play games in Brisbane and Auckland, even if it is at Langlands Park or equivalent. Not to mention Raiders (Riverina), Knights (Newcastle) and Titans (Northern Rivers). I believe that Wests Tigers are also going to strike a deal with Region 2 (Greater Northern). How are they disadvantaged? Wyong’s focus was never on making it into the NRL but rather supporting grassroots rugby league on the Central Coast. The Roosters screwed them over and wanted to strip away their identity. Now Wyong will be providing a $10,000 annual grant to every CCDJRL club except Woy Woy, Erina and The Entrance. 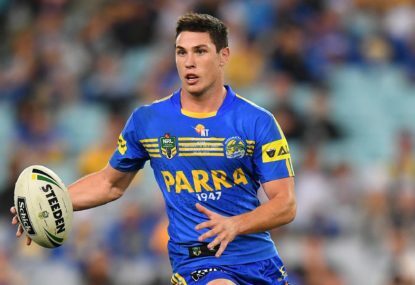 Wyong were crippled by the ISP deal and now that they are out of it they can focus on genuine grassroots stability in the Central Coast region. G’day Hayek, while Manly are an absolute basket case at the moment and Perth is a ripe market ready for the picking, I don’t think relocation of a Sydney club is the right answer. I doubt that Perth fans would end up supporting a washed-up club from the east coast, the only possible exception I can think of being the Bears. Also, a minor note to say that a) the Western Force are still well and truly alive, and b) nib Stadium is probably the ‘modern’ equivalent of Brookvale and only seats around 20,000. In saying that, I would support relocation of the Sea Eagles’ licence to Perth in the form of the West Coast Pirates. It would be crucial that when building the club the NRL resource the Pirates well and help to build a strong support and membership base. They will need the support of the WA government to build world-class facilities. A centre of excellence should be a priority and the NRL should also consult with the WA Government, RA and FFA to build a 30,000-seat world-class rectangular venue similar to AAMI Park and the new Western Sydney Stadium. If I was in charge of the Pirates I would be doing everything I could to build a club similar to the Melbourne Storm and try to hire Craig Bellamy as coach or else someone like Adam O’Brien. The franchise could also seriously look at sourcing players not only from the local competition, but also from South Africa, New Zealand and Europe. Gaining support in an AFL-mad market would be the most crucial. That could mean striking a deal to air all Pirates matches on FTA, similar to what the AFL does by showing local teams in all key markets. West Coast should focus on building a strong social media brand and aim for crowds around the 15,000-18,000 mark in the first few years as well as promoting a strong, membership culture that would rival the Broncos. How have the Roosters earned the right? Well they won the minor premiership and also won their qualifying final to secure a ‘home prelim final’. Yes, Sydney teams have lost the right to host finals at suburban grounds however they have the agency to choose where they host their finals matches between the SFS and ANZ Stadium. Case in point, the Panthers vs Bulldogs 2016 final: Penrith CHOSE to play at the SFS so as not to give the Bulldogs home-field advantage. I understand that neither ANZ Stadium nor the SFS are necessarily ‘home’ grounds for the Panthers but within the confines of the NRL’s finals venues policy they do have the choice of where they wish to play. The smaller NRL crowds confirm the AFL is the superior code? Rubbish! 100% agree with you there spruce. 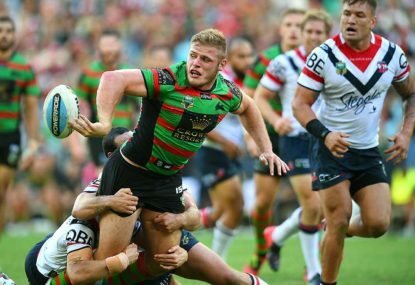 It seems the same people advocating for the Roosters vs Rabbitohs clash to be moved to ANZ Stadium are also calling for qualifying/elimination finals to be moved to suburban grounds. The 2014 prelim only drew 52,000 in a year that Souths were hunting their first premiership victory in an eternity. Past metrics aren’t necessarily the greatest indicator but those assuming that 65,000 fans will turn up are well off the mark. The Roosters earned the right to host a home semi and should have the choice whether they want to play it at ANZ or Allianz stadium, the NRL are not in the wrong here at all. 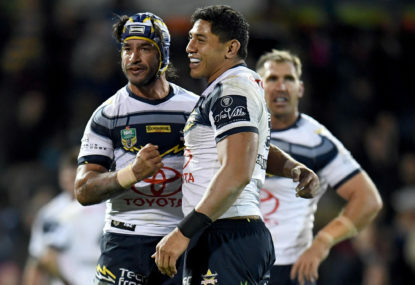 The NRL have genuine marketable stars. I don’t understand why they can’t use that to their advantage. Why not help guys like Ponga, RTS, etc. establish strong social media brands. It’s something you see in the US and Europe, Cristiano Ronaldo is one of the biggest social media stars in the world! Players can use their profiles to promote games, community events, etc. The only good example I have seen of it is Johnny Tuivasa-Sheck, Jordan Kahu and Isaac John creating YouTube content. What’s more, adopting American-style squad numbers with player names on jerseys would be awesome for merchandising. Sure it gets a bit annoying when you’re watching Super League sides with numbers 31, 22 and 27 but no 1, 6 or 9, but watch the $$$ roll in for all the people buying Ponga #1 and Cook #9 jerseys. One thing the NRL is doing well at the moment in terms of promotion is street art. It’s something minor but has a great impact on showing a sense of community. When you drive into Redfern you’re greeted by a giant Greg Inglis mural. I understand there is a Slater one in Richmond and one in the Shire of Gallen/ET embracing. Something they should do more of across Sydney – how about a nice mural of Artie being carried from the field on his teammates shoulders in Bondi or Provan and Summons embracing near League Central, Johnathan Thurston wagging a victorious finger in the air in Townsville, etc. The NAB AFL ads remind me a bit of the NRL’s 2009 season promo where Greg Inglis grew from a 6-year-old to a 14-year-old Alex Johnston and then an NRL star.